If you’ve been to San Francisco (who hasn’t), you probably rode the ferry across the bay to Alcatraz Island. You took the tour of the old federal prison, stood inside one of the 4’ x 8’ claustrophobic cells (I lasted ten seconds), gawked at the Who’s Who of former inmates. But in the daytime, with so many people around, you likely did not encounter one of the many spirits that inhabit its creepy corridors. 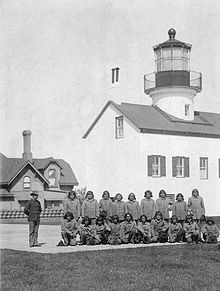 Prior to the arrival of Europeans the indigenous Ohlone people, who lived along the coast between what would become San Francisco and Monterey, utilized the island as a place of punishment for tribal transgressors. They believed that evil spirits dwelled on the isolated Rock, that incarceration there would straighten out even the worst offender. In the nineteenth century, just prior to the Gold Rush, the government decided that The Rock had strategic importance with regard to a tense stand-off between the U.S. and Mexico. A fort was erected, with plenty of cells for prisoners, along with a lighthouse to guide ships through the treacherous Golden Gate. First housing military convicts, the fort later received Confederate prisoners from the Civil War, then prisoners from the Spanish-American War around the turn of the century. Sadly, Native Americans who resisted the white man’s ways were also confined there. By the twentieth century the conditions there had become deplorable. 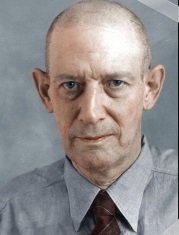 Robert Stroud, the Birdman of Alcatraz. By the 1920s The Rock had been all but abandoned. 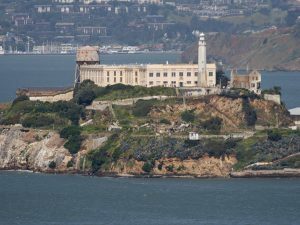 But the so-called Roaring Twenties brought about crime and criminals on a scale previously unheard of, so what remained of Alcatraz was turned over to the Federal Bureau of Prisons, and in 1933 construction of the buildings as we know them today was begun. 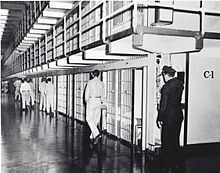 “Celebrity convicts” started arriving at the new, “escape-proof” facility in 1934, among them “Machine Gun” Kelly, Robert Stroud (the Birdman of Alcatraz), Doc Barker (of the Ma Barker gang), Alvin Carpis, and its most famous inmate, Al Capone. 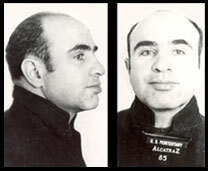 The “Golden Era” (1934-1963) of Alcatraz had begun. To be clear, Alcatraz was a place of harsh incarceration, not rehabilitation. Accordingly, the number of deaths by murder or suicide, as well as madness (Capone himself went insane), was considerable during those twenty-nine years. Given the history of the island, all the way back to the evil spirits of the indigenous people, it is no wonder that the ghosts of so many twisted and tortured souls remain trapped on The Rock. In 1946, during one of many aborted escape attempts, three inmates were killed as they occupied a utility corridor in C Block. If current-day tourists look closely enough they’ll notice that the metal door leading into this corridor had once been welded shut. It seems that employees have heard loud clanging noises emanating from the corridor. Whenever the door was opened, the frenetic noises stopped, and searches revealed nothing. Then, they would start up again. This corridor is considered one of the most haunted spots in the prison. Near the end of the day, after the tourists have left, employees have reported hearing people moving about on one of the upper tiers. Again, searches have revealed nothing. In the prison’s D Block, one of the most disturbing incidents took place in “hole” cell #14D (solitary confinement). An inmate, upon being locked in the cell, began screaming almost immediately. He told a guard that a monster with glowing red eyes also occupied the cell. The guard laughed it off and ignored the inmate’s subsequent screams, which finally ended in the middle of the night. The next morning they found the guy dead, an expression of terror on his face, and strangulation marks around his throat. If that wasn’t enough, the next day the guards were doing a head count on a line of inmates from D Block and discovered that there was one too many. That’s when they noticed the prisoner who had been strangled standing at the end of the line. The specter faded away as they watched. The list of paranormal occurrences at Alcatraz is a lengthy one. Many cold spots have been reported, especially in cell #14D. Gunshots have been heard, as well as loud sobbing and moaning. The spectral forms of prisoners, as well as soldiers in nineteenth century uniforms, have been observed. One of the weirdest reports is that of a banjo being strummed. Seems that Al Capone, as he descended into madness during his final days on The Rock, chose to hang out in the shower room rather than go out into the exercise yard with other inmates. And what did he do there? He played his banjo. Holy crap! Paranormal investigators have differing opinions about the erstwhile prison. Some consider it one of the most haunted places in California, others in the country. And there are those who call it one of the scariest places in the world. Whatever the case, the Ghosts of Alcatraz will doubtless still be haunting The Rock for a long time to come. Think about that the next time you take the walking tour.